Please join us in congratulating alumnus Daniel Bowman! Daniel was a winner of the Seismology Section's Outstanding Student Presentation Award from the 2015 Fall AGU Meeting! As an IRIS intern in 2005, Daniel implemented a grid search method to help produce a high resolution map of seismicity on the Juan de Fuca ridge. He worked with mentor Dr. William Wilcock of the University of Washington, whose innovative undersea seismic network made the study possible. 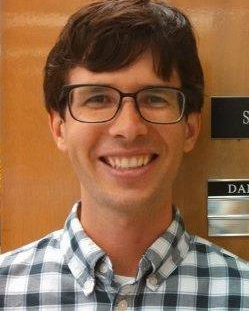 After a brief stint as an environmental consultant, Daniel is now finishing his doctorate at UNC Chapel Hill. He focuses on recording low frequency sound waves in the stratosphere with balloon-borne acoustic arrays.